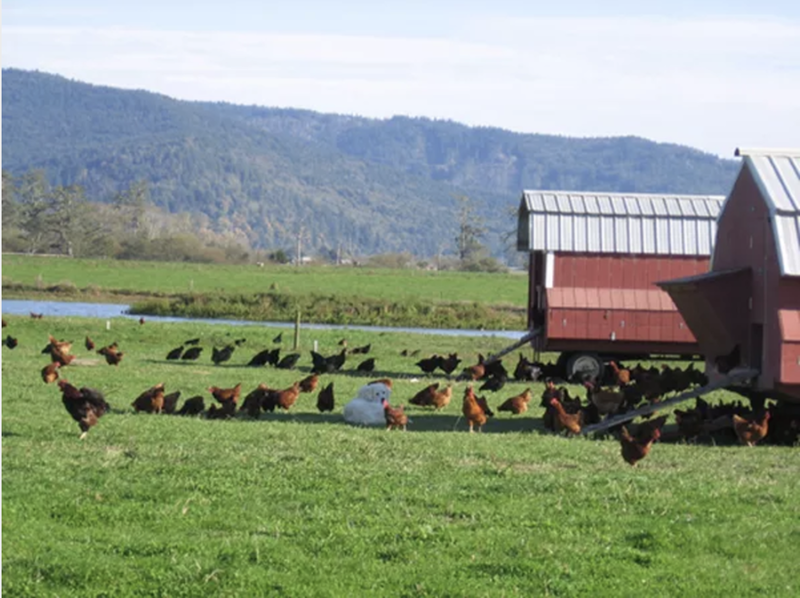 Finding high-quality, organic, pastured eggs just got a whole lot easier. If you eat animal products you probably want to know that the animals were treated humanely, and if you're buying "organic" products you want to be sure they are in fact, organic. Unfortunately, an organic label doesn't always mean much. 5 eggs. Buying eggs with this rating guarantees that laying hens are granted "meaningful and abundant" pasture and they are definitely organic. Sadly, you won't find these at your Trader Joe's or Safeway. These eggs are mostly available at farmer’s markets, food cooperatives, and independent grocery stores. 4 eggs. These egg companies are also a great pick because they're organic and provide outdoor pasture areas for their chickens. Flock sizes are usually larger than 5 egg companies and chickens tend to spend more time indoors. 3 eggs. These brands meet the minimum federal guidelines to be considered organic, but unlike 4 and 5 egg ratings, the chickens may not have much pasture access. Companies pledge to provide two square feet of pasture per hen but many 3 egg companies buy young hens from separate facilities where they are confined indoors for the first 16 weeks of life. Once they've been confined as babies chickens are much less likely to venture outside, even if there is outdoor space available. Avoid 2 and 1 egg companies whenever possible. These companies likely do not meet the federal USDA organic guidelines, even if they’re labeled “organic." 2 egg rated companies are transparent in their practices, while most 1 egg companies either refuse to provide information on their chickens or it's clear the hens have no meaningful pasture access. Often outdoor space is limited, consists of thin concrete slabs, and has exits that are intentionally small to discourage hens from going outside. Takeaway: Next time you’re shopping for eggs, check the brand against Cornucopia’s scorecard to see what you’re really buying. From the egg case: Is the plant based Just Scramble egg all it’s cracked up to be?